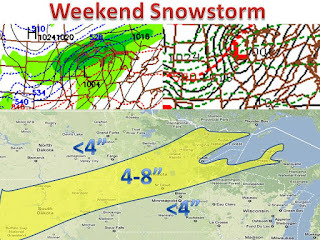 After the cold air being dumped into the mid west tomorrow, another November storm will be slamming the northern mid west. The track has not moved more than 5 miles the past 4-5days so the snow map looks very good. Hopefully it will not have to be changed. 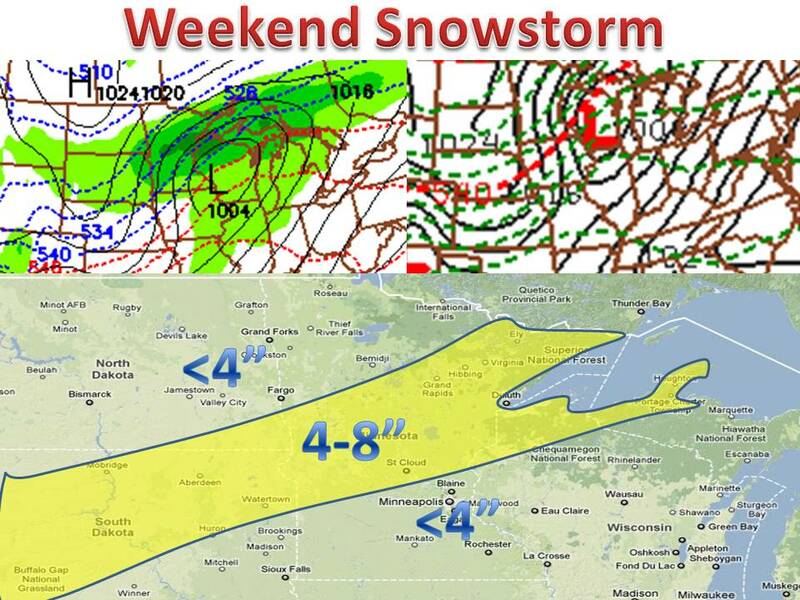 The map shows the American model (GFS) on the left and the European model on the right. Both show about the same placement of the low, so confidence is even higher. Stay tuned for updates! 11/16: forecast still looks goods, but change the 4-8" to 3-6" with isolated 7" near the lakes.